Drilling cutting method is a common method to predict rock burst based on the quantitative relationship between drilling cuttings and coal body stress, but it is restricted by some factors in mining process. The drilling depth is failure to reach the stress concentration area, the drilling cuttings can not reflect the stress accumulation area and can not predict the rock burst effectively. In order to overcome the limitation and lag of drilling cuttings, the improved drilling cutting method based on drilling cuttings and its variation is proposed. Taking the No. 3302 working face of Xingcun Coal Mine as the engineering background, the improved drilling cutting method is applied. And the result of the the improved drilling cutting method is consistent with the results of field microseismic monitoring. 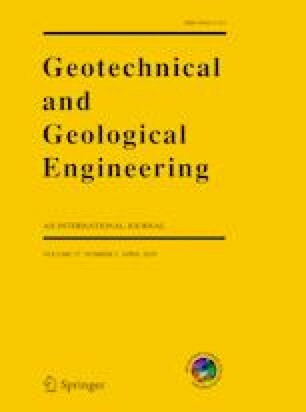 The obtained results show that the improved drilling method can improve the predicted capabilities of the rock burst and provide a novel insight to prevent the occurrence of rock burst. This research was supported by the National Natural Science Foundation of China (No. 51604100).